We dream of speed. Heart-racing, 0-60 in 4.6-second starts. Wind whipping our hair. Silly grins we cannot wipe from our faces. Then we wake up in South Florida traffic. For those crawling through traffic here, with powerful engines lurking beneath aerodynamic hoods, speed dreams are almost always deferred. Oh, we may get a quick jump on the pack when a light turns green. We may even beat the yellow light at intersections newly equipped with red-light traffic-enforcement cameras. But, mostly, all the power, grace and agility of an exquisitely designed super car pull on the leash here. At least the valet is impressed when we pull up at a restaurant or hotel, right? (Especially if we’re tipping well). What happens, then, to a dream of speed deferred? It does not have to dry up – at least not at the R Performance Academy, where about 20 owners of Jaguar XKR and XFR’s recently unleashed the 510-hp beasts on the track at Homestead-Miami Speedway. 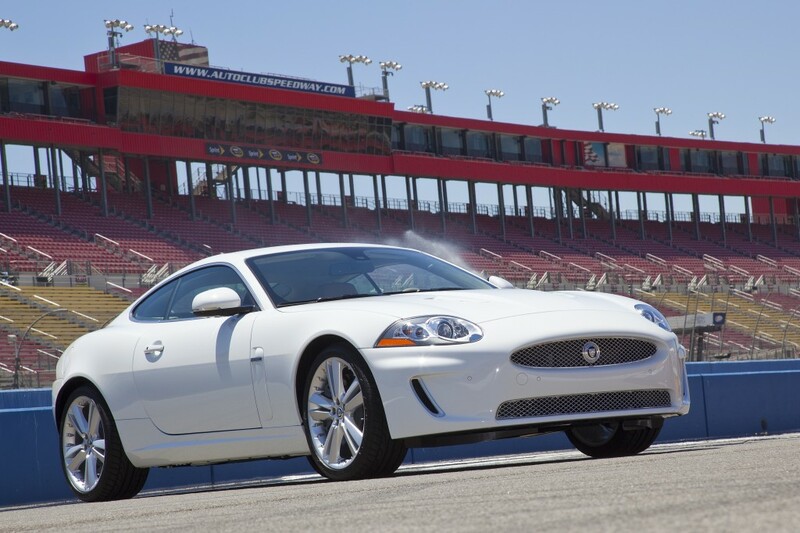 The Academy course for them had come with the purchase of an R-type Jaguar, which for 2012 is $97,500 for the XKR Coupe and $103,500 for the XKR convertible. The NASCAR track in south Miami-Dade County provided the heart-racing oval, the “widow-maker’’ turns, and an inticing dearth of red-light traffic-enforcement cameras – any kind of enforcement, really – on the straight aways. Jaguar provided the exquisitely designed super cars (owners are not allowed to bring their own), the crash helmets, an evening reception/dinner, breakfast, lunch … and a pre-track motion-sickness pill, should you anticipate you might require one. (I anticipated that I might). Jaguar also provided the racing instructors who, on this day, included an Andretti (Adam). The professional driving instructors on the R Academy tour – many with Indy and other racing cred – do everything they can to encourage you to be safe, become better drivers – and, oh yes, to drive fast. The morning began with a fighter-pilot-style briefing in the media facility at Homestead-Miami, in which Monro introduced the five other instructors. After a 30-minute PowerPoint primer, mentioning “throttle application,’’ “yaw rate,’’ “string theory” and “lead-follow scenarios, among others, the drivers took a short break. It seemed a good mix of technical and fantasy camp – and pastry. After that, it was almost all track – either with an instructor in the passenger seat, or solo following an instructor around the speedway oval. First a left turn following the lead car around the “widow maker,’’ then hard right-left turns back up on the big track, then up and into 18-20-degree banking turns leading back down to the straight away. We’d been dreaming about this moment – the chance to drive fast. And here, following close behind instructor Morgan Kavanaugh (the “skid expert’’), there was someone on the radio actually encouraging us to go faster. My speedometer leapt up from Interstate safe to Interstate unsafe to crazy fast. I hit 130 mph – on a speedometer electronically limited to 155 – on my third lap, before I started to think, well, maybe I was starting to feel a bit whipped. And, in a moment of self discovery, that maybe 130 was fast enough. “You were the most improved student,’’ Kavanaugh said, as we assembled for a critique and I pulled off my crash helmet. The silly grin I could not wipe off my face. Until I woke up in South Florida traffic, in my own car on the way home from Homestead.